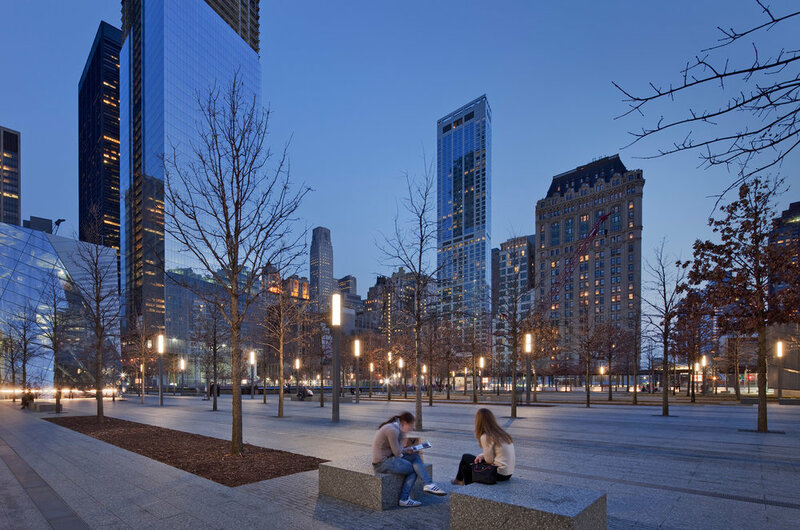 A popular destination for visitors to pay tribute to the victims of 9/11, the memorial park opened before the museum opened its door in 2014. Selux illuminated the memorial with large numbers of very simple yet elegant lamps. While it blends in during the day with the context of trees and surrounding buildings. 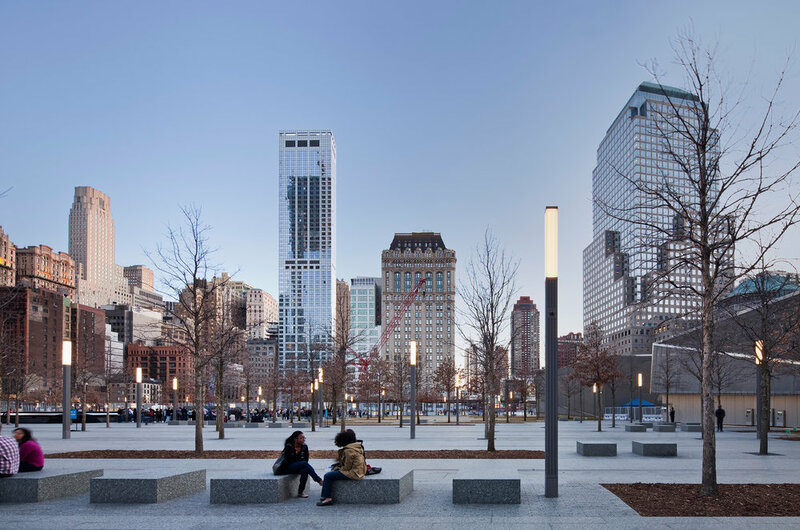 From late afternoon to dusk then night, these lamp posts provide a soft glow to the park. 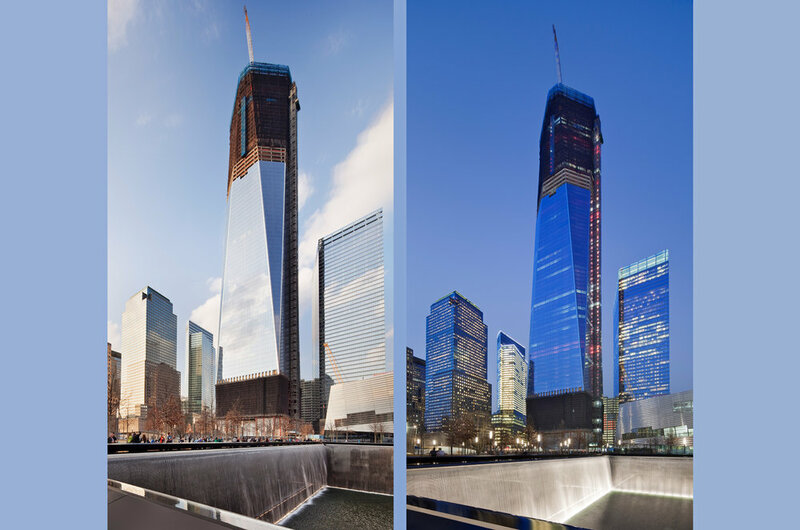 It was a great honor to photograph at the site during its soft opening with surrounding buildings still under construction, including 1 World Trade.